The Berkeley50 committee consists of Peter Dudley, Estelle Gittins, Sharon McIntyre and Greg Sheaf. We would like to thank the Librarian and College Archivist, Helen Shenton, for her support and advice. 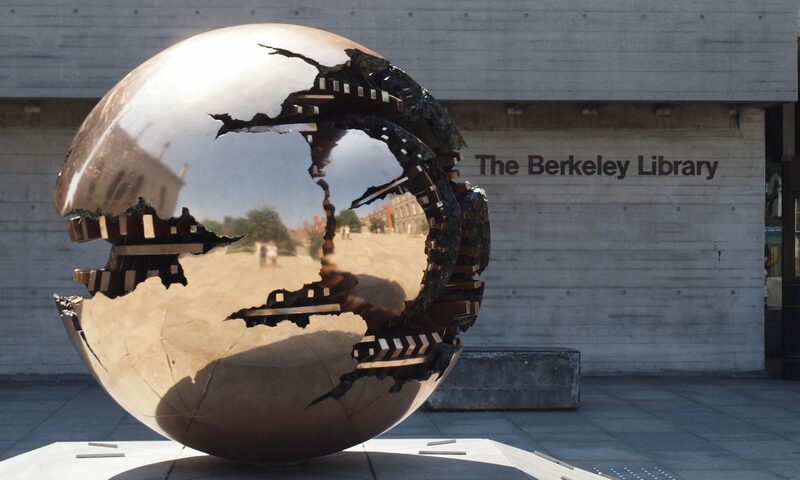 We are indebted to our colleagues in Research IT – especially Paddy Doyle – for hosting the Berkeley50 website. Iris Bedford; Paddy Cahill; Raelene Casey and the IFI; Richard Duckworth; Nicky Grene; Rebecca O’Neill; Colum O’Riordan and the IAA; Trevor Peare; the RIBA Library; Ellen Rowley; Leen Tangney; Donal Hickey; and Sharon Sutton and Gill Whelan. Ahrends Burton and Koralek. (1976). Buildings and projects. London: Ahrends Burton and Koralek. Ahrends Burton and Koralek. (1991). Ahrends Burton and Koralek. London: Academy Editions. Casey, C. (2005). Buildings of Ireland: Dublin. The city within the Grand and Royal Canals and the Circular Road with the Phoenix Park. London: Yale University Press. Donat, J., & Royal Institute of British Architects. (2007). Image and experience: The photography of John Donat. London: RIBA. Fox, P. (2014). Trinity College Library Dublin: A history. Cambridge: Cambridge University Press. Grimes, B. (2000). The library buildings up to 1970. In V. Kinane & A. Walsh (Eds. ), Essays on the history of Trinity College Library Dublin. Dublin: Four Courts. Luce, J. V. (1992). Trinity College Dublin: The first 400 years. Dublin: Trinity College Dublin Press. McDonald, F. (2002). Ireland. In K. Powell (Ed. ), Collaborations: The architecture of ABK. London: August Birkhuser. McLaughlin, N. (2016). Berkeley Library, Trinity College. In P. Buxton (Ed. ), 50 architects 50 buildings: The buildings that inspire architects. London: Batsford. McManus, R. (2008). Crampton built. Dublin: G. & T. Crampton. Powell, K. (2012). Ahrends, Burton and Koralek. London: RIBA. Samuel, F. (2007). Le Corbusier in detail. Oxford: Architectural. Trinity College Dublin. (1960). International architectural competition for a new library building. Dublin: Hely’s. Wallpaper*. (2013). Wallpaper* city guide: Dublin. The city at a glance (New ed.). London: Phaidon Press.